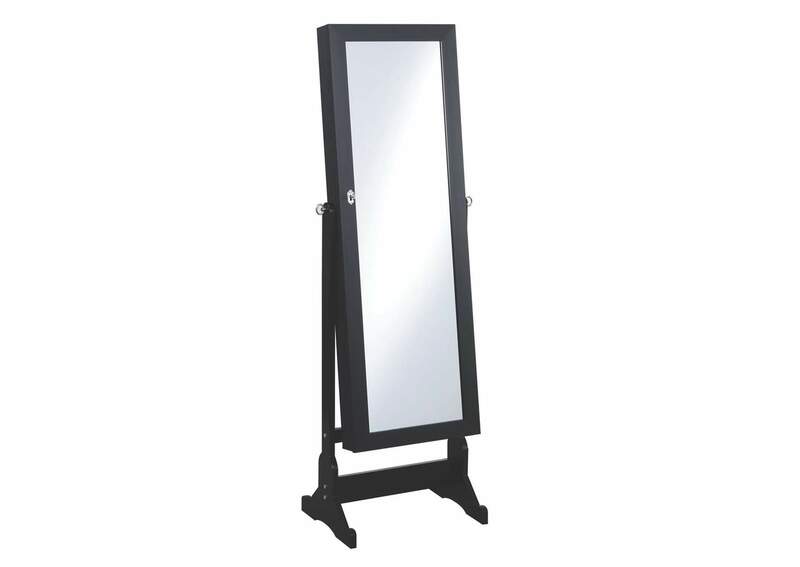 With a sleek black finish, this full-length jewelry cheval mirror offers plenty of storage space in a stylish package. Its beautiful dark finish is accented nicely by metal hardware throughout. Inside is a plethora of storage options, including hooks, shelves, a drawers. 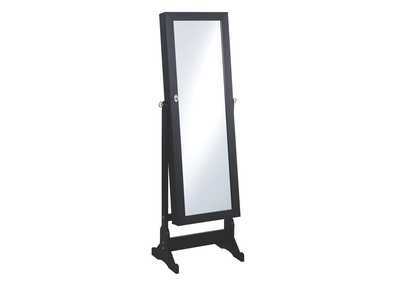 This standing, full-length jewelry mirror can also tilt forward and backward so you can adjust to your preference.